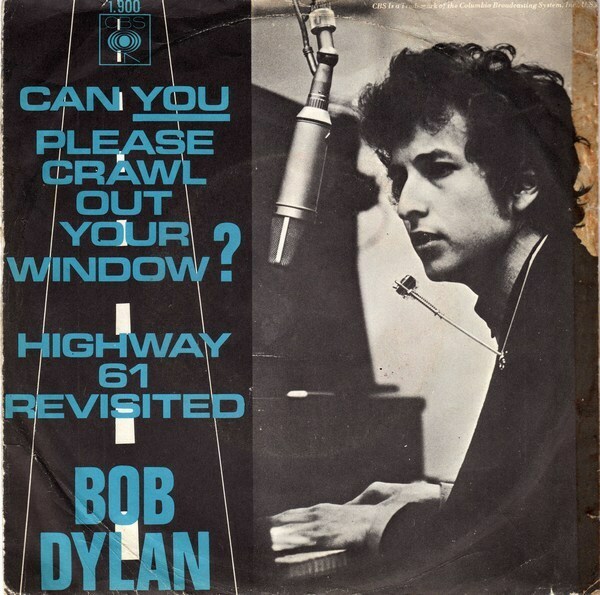 revealed in songs like Can You Please Crawl Out Your Window? and Positively 4th Street? Q: What does the word “protest” mean to you? 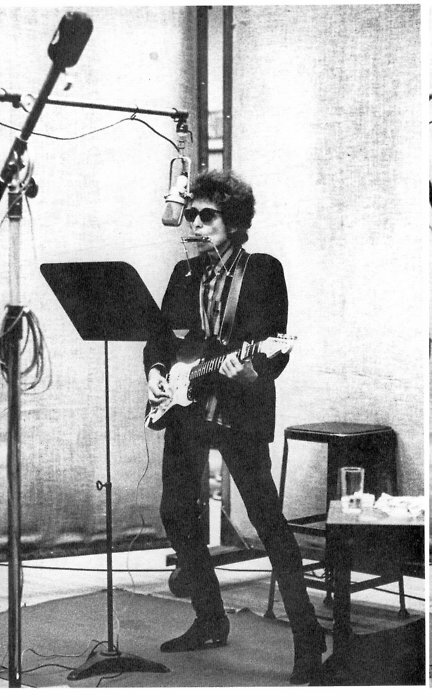 Bob Dylan: It means singing when you really don’t want to sing. It means singing against your wishes to sing. 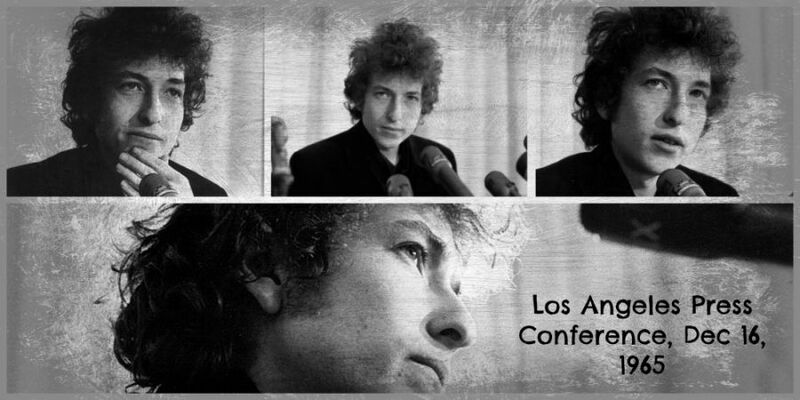 Dylan’s second west coast press conference in two weeks takes place in Los Angeles. His mood is far less amenable than it had been in San Francisco. The conference lasts just over half an hour. The San Francisco Press Conference was set up by Ralph Gleason at KQED-TV, an educational station, in the bay area of San Francisco and took place on December 3rd 1965. 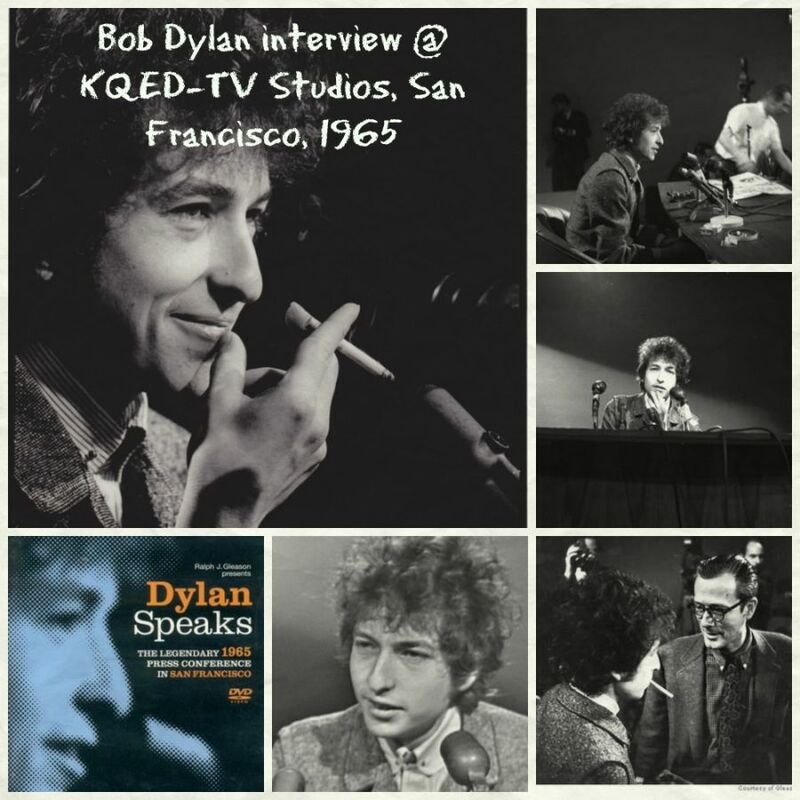 It was broadcast on KQED later that day, just before Dylan and The Hawks played their first night at the Berkeley Community Theater. Source: The Fiddler Now Upspoke, pp. 359-374. 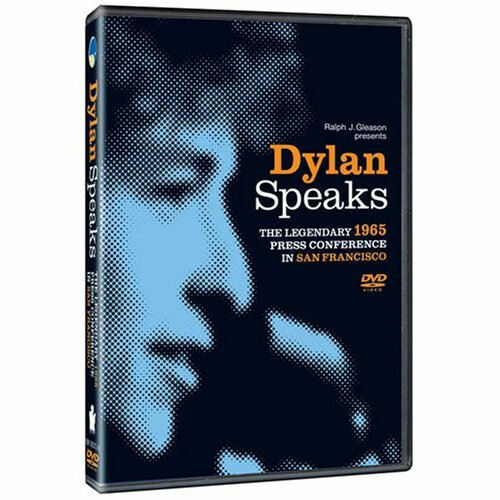 Released on the DVD Dylan Speaks, Eagle Media MDV622, 30 October 2006. A song is anything that can walk by itself, I am called a songwriter. A poem is a naked person, some people say that I am a poet. This is not a “best from 1965” list, just 5 Great songs Bob Dylan recorded in 1965. The 3rd and last Bringing It All Back Home recording session, produced by Tom Wilson. 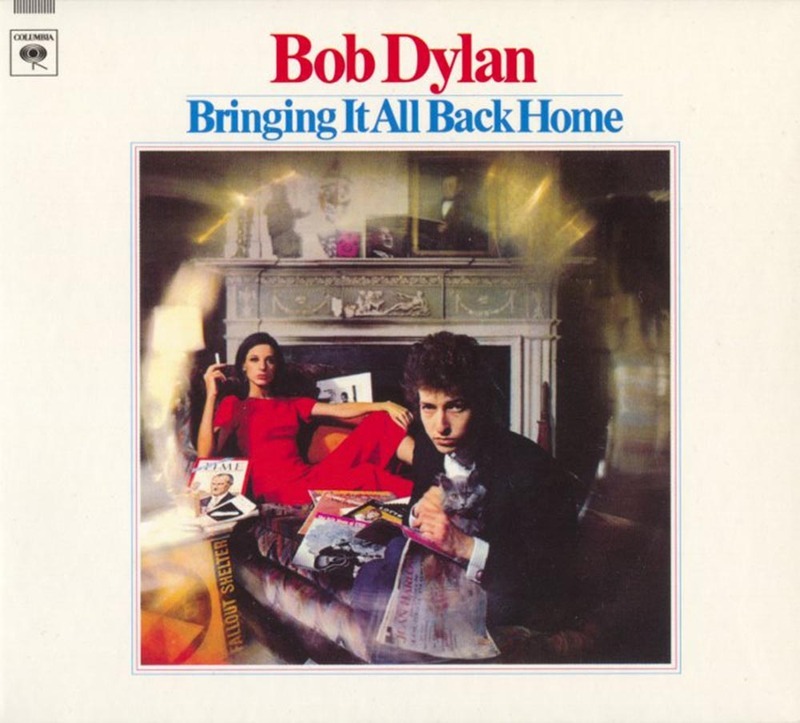 First released on BRINGING IT ALL BACK HOME, 22 March 1965.